Alter Eco Foods is just one of the many great suppliers whose goods are available through the CUPS Supply Store – a single platform where you can purchase everything your coffee shop needs, at the lowest prices, on one unified invoice. More details here. About 10 years ago, Alter Eco Foods founders Tristan Lecomte, Mathieu Senard, and Edouard Rollet set out on a mission to transform the world of chocolate, through ethical relationships with small scale farmers and integrated sustainability at every point of the supply chain. Today, the company has successfully built up a system resulting in what Stephanie Mack from the Alter Eco team describes as a “WIN, WIN, WIN.” They benefit consumers by implementing whole, healthy ingredients, benefit farmers through fair prices and premiums, and benefit the environment through organic and biodiverse agriculture. According to Stephanie, the most important lesson the company has learned is to never waver on their values. Alter Eco works with an expert chocolatier in Switzerland to craft their chocolate, using a 30 hour conching process. Stephanie says that “this part of the process is crucial because it defines the flavor and the texture, making Alter Eco bars among the creamiest, even at a high cacao ratio.” The resulting products are perfect for those who are looking for the luxurious taste of dark chocolate, without having to sacrifice the creaminess usually associated with milk chocolate. All of the cacao beans used in Alter Eco chocolates are single-origin and Fair Trade certified, and come from brands like Cacao Nacional, a heritage brand from Ecuador that works with local farmed-owned cooperatives. 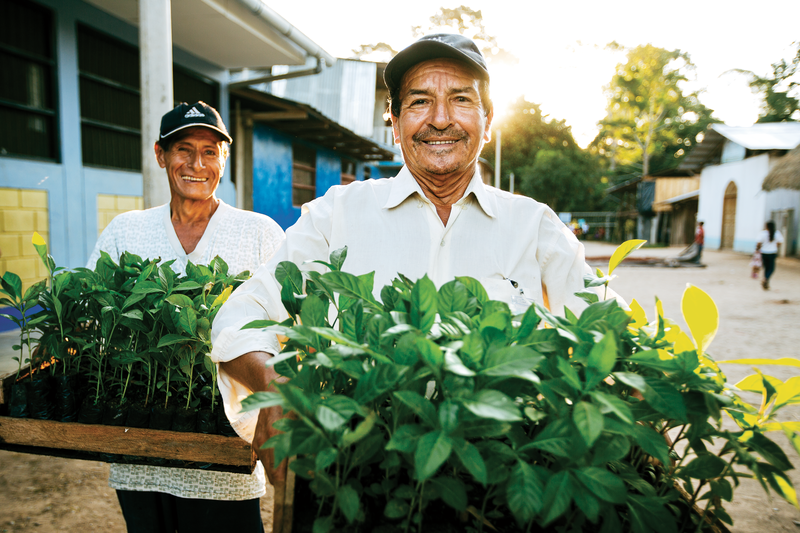 Alter Eco maintains close relationships with these farmers, who have been growing cacao beans for generations, and the fair prices paid for the beans help fund education, the environment, health, and developmental programs within the community. The Alter Eco team also works more directly with the communities that provide their cacao beans – their partner company PUR Projet, for example, has been helping with reforestation initiatives in Peru since 2008. 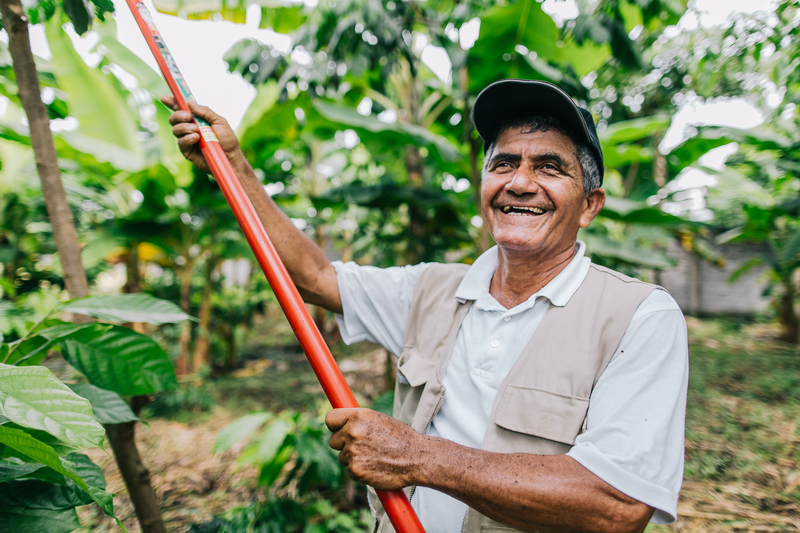 They plant trees in and around their farmers’ cacao fields, providing a wide range of environmental benefits to the area, and giving the farmers a future source of major revenue in the form of lumber. 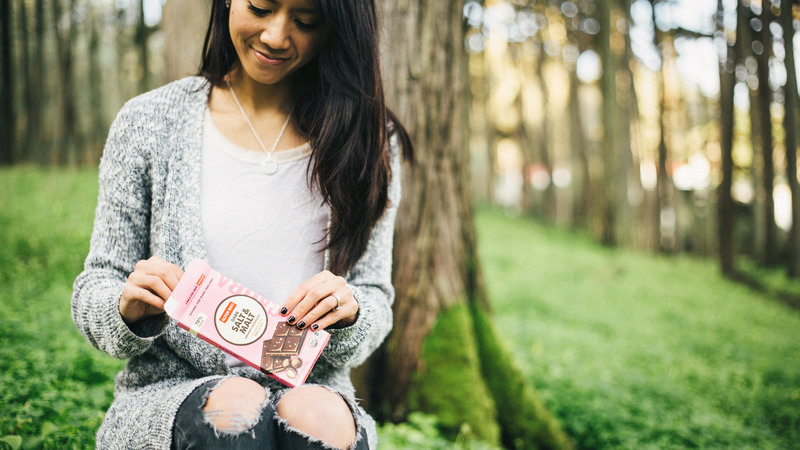 Alter Eco is not only changing the world one chocolate bar at a time, but also changing even your favorite homemade recipes. Stephanie says that her list of favorite recipes that include some Alter Eco chocolate “could be endless,” but mentions dark chocolate nut butter cups, salt & malt stuffed chocolate chunk cookies, and burnt caramel chocolate pudding as just a few of her favorites. You can find these recipes and more on their site! Alter Eco shows that you really can have the best of all worlds. Don’t miss out on their newest flavors, Dark Mint Truffles, Salt and Malt Bar, 70%, and Dark Salted Almonds Bar, 70%.